When Springfield Armory introduced the XDM to the firearm market in 2007, it ushered in a new era for the polymer frame pistol. Enhanced ergonomic design, reliable function and a long list of desireable features have made the XDM a popular choice among firearm owners. 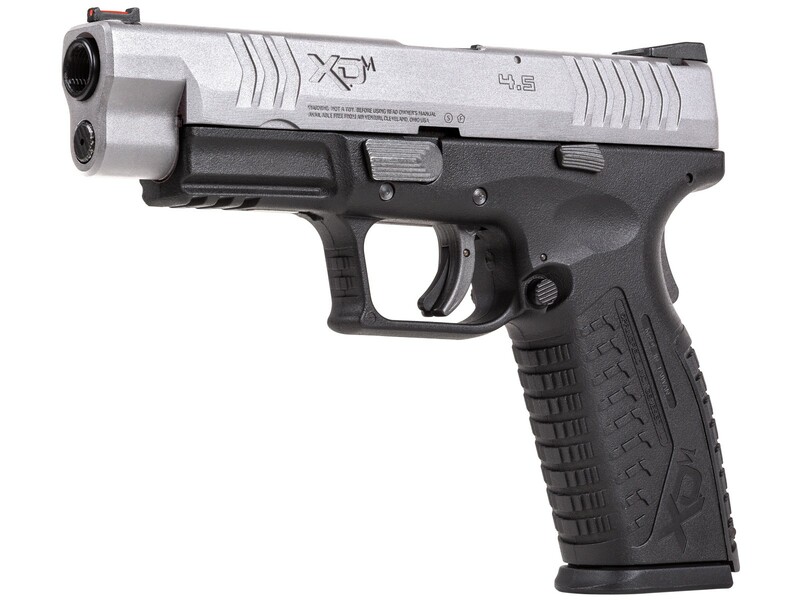 Now, Springfield Armory brings the XDM to the airgun market with the same design, function and features that made the real steel version so prominent. The silver, full metal slide sits atop a durable black polymer frame, and both bear authentic logos and trademarks. Well known features from the firearm like the ambidextrous magazine release, interchangeable backstraps and striker status indicator are all found on this airgun replica. Squeeze the trigger on the XDM and send BBs down range at velocities up to 325 fps. When the magazine runs dry, the slide locks back letting you know it's time to reload. 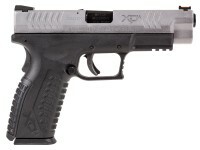 The Springfield Armory XDM 4.5" replica is perfect for those looking to get trigger time without going to the range. The full blowback action provides a realistic shooting experience that shoots of all ages and skill levels will love. The realism doesn't stop there, the air pistol even field strips the same way the firearm does. 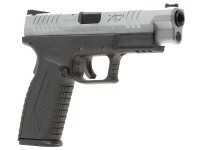 Springfield Armory brings you real steel feel in a replica air pistol, with the XDM 4.5" Bi-tone. When will spare magazines be available for this pistol?